India has historically been a net exporter of students who study for MBA degrees abroad. But the tropical subcontinent has developed a number of its own world leading business schools over the past several decades. Arguably the most well-known are the Indian Institutes of Management, which teach the Post Graduate Program (PGP) in Management, which is equivalent to an MBA aboard (although some IIMs, including IIM Ahmedabad and IIM Bangalore, have, in recent years, started to award MBA degrees. Many of the schools are accredited by AMBA, EQUIS or AACSB and are ranked by the Financial Times, The Economist, or Bloomberg Businessweek. Here are the top 10 MBA programs in India. The Indian School of Business is ranked as the nation’s finest by the Financial Times. The school was no doubt helped by its PGP students’ superior career prospects: in the most recent Global MBA Ranking from the Financial Times, three years after graduating, ISB alumni are earning $156,776, a 187 percent increase on their pre-degree pay. Almost 100 percent of them find jobs within three months of graduation, such is the regard in which the school is held by employers. Established in 1961, the Indian Institute of Management, Ahmedabad was one of the first IIMs, which are held in high regard around the world. It’s known for, among other things, a focus on innovation and entrepreneurship. The school’s Center for Innovation, Incubation and Entrepreneurship was established in 2012. It supports some 40-60 ventures each year with office space, mentorship and a seed investment scheme, as well as hosting a networking shindig in Silicon Valley to show off the strength of India’s startup ecosystem. It runs two distinct PGPs: a generalist management course and one that specialises in food and agribusiness management. Located in Mumbai, the SP Jain Institute of Management and Research (SPJIMR) offers a truly global PGP in Management: the program includes a three-week International Immersion module with a live business project with a real company overseas. There’s also a specialist course, a PGP in Family Managed Business. The Mumbai location is a plus: the city is India’s de facto financial center and India’s largest city. Aside from the career prospects, the social side of life is pretty good too: offshore nearby islands are full of ancient cave temples, and the city is also famous for being the heart of the Bollywood film industry. The salary that PGP Management graduates from IIM Bangalore achieve after three years is enormous: $178,774, with 100 percent of them employed at the three-month mark. The school is well-regarded globally for the strength of its research, which informs its teaching, as well as for consulting large corporations and hosting conferences which provide students with excellent networking opportunities. There’s also a specialist PGP program in Public Policy and Management. 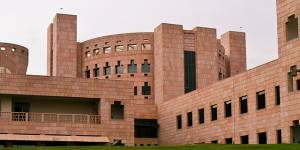 Beyond PGP programs, IIM Bangalore has also recently begun awarding MBA degrees. The Narsee Monjee Institute of Management Studies (NMIMS) runs a globally respected MBA program in India that is taught in English and lasts for 24 months. There’s also an MBA in Social Entrepreneurship and Sustainability Management. What is notable about the full-time, generalist MBA is its flexibility. Students can pick from a wide variety of specializations including in finance or information systems. The courses are taught through case studies, CEO guest lectures, business simulation games and also include soft skills development, for example personality development workshops. Special classes are offered in French, German and Spanish to prepare students for international careers. Although styled as a post graduate diploma in management (PGDM), the course at IIM Calcutta is widely considered to be equivalent to an MBA, having been ranked by the top MBA rankings providers. It is run full-time for two years. IIM Calcutta is fast rising, having shop up 29 places from 78th to 49th in the FT’s 2019 Global MBA Ranking. Alumni have the ninth-largest percentage increase on pre-program pay (139 percent, up from 117 percent in 2018). And the average salary three years after graduation hit $158,138 in 2019, up from $139,000 the year before. The school is also ranked seventh by the FT for career progress. The Xavier School of Management (XLRI) runs a Global MBA program over 24 months starting in August each year. What is unique about the course, is that it’s offered in collaboration with Case Western Reserve University of the US and Tongji University in China, with students spending a portion of the course at each campus. This provides a very global experience and extensive networking, learning and career opportunities. XLRI is accredited by both AACSB and AMBA. The Management Development Institute (MDI) in Gurgaon runs a number of specialist PGP programs in the fields of human resource, international, energy, and public policy management. The school itself was established in 1973 by the Industrial Finance Corporation of India. Being located in Gurgaon affords students many advantages: it’s a commercial hub near the Indian capital of New Delhi, so there are plenty of networking opportunities and easy access to top corporate recruiters. IIM, Lucknow runs two PGP courses: in agribusiness management and sustainable management. Both are taught in English and delivered over 24 months. All of the school’s teaching focuses on helping participants understand the socio-economic, political, technological and ecological forces that are rapidly changing the world of business and society more broadly. The result is an education geared to the most relevant trends of our time. IIM Kozhikode offers a full-time PGP course taught in English over 24 months starting in June each year. The program is one of the fastest-growing on the sub-continent in terms of student numbers, which are about 400 today, up from 42 when it was established in 1997. IIM Kozhikode is well-regarded, having been ranked sixth among management schools in India by the National Institutional Ranking Framework in 2018. The school was also ranked eighth by Business Today’s best Indian business schools ranking in 2016 and the same year it was ranked fifth by Outlook India’s top 100 management schools ranking. The school’s PGP program is AMBA-accredited.